Christina Lee: Writing or Story? Would you rather readers admire your writing, or become engrossed in the story? According to Noah Lukeman, who wrote THE FIRST FIVE PAGES, "You must realize that when a reader gets lost in your story, turns pages rapidly and does not notice your writing, they are paying you the HIGHEST compliment. " And I get that now. I mean, I want my sentences to be pretty, but I also want my readers to have a hard time putting the book down. Even still, I fiddle around with word choice and sentence structure constantly. It's how you grow. I think I'd cry if a reader told me they were lost in my story. :) A huge compliment. I actually disagree with that quote. There are plenty of stories I've gotten lost in where I've admired the writing. Enough to even underline stuff! I really think it's both. But story is the must have. Even with beautiful writing, I'll put down a book where the story doesn't draw me in. When I find a book with both? I'm a fan. However, in my dreams, I get the comment "beautifully imagined." I don't even know what that means all the way...but it sounds so purty! It's a balance. You're so right! I think that's it exactly. I want them not to notice the writing at all, but to be lost in the story. It takes good writing to make that happen, I think. I'm tempted to claim they're the same thing, but then I think of books like THE BOOK THIEF. Lovely writing? Absolutely. Lost in the story? Nope. Both, yes!! But if I had to pick, I'd rather it was an engrossing story. I LOVE beautiful writing but, in the end, the story is what counts IMO. I love it when I am lost in the story. When the world around me IS the story because it is that good. I hope to write that way one day! I love getting lost in the story, too. I think it's a balancing act sometimes. I love beautiful writing, but I if the writing is beautiful, but not the story, I may never finish it. That makes me sad, but I need to connect and want to read on. I'm an odd one. LOL. 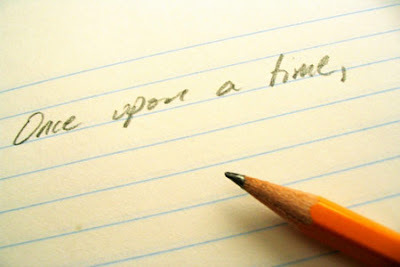 I'm hoping that my stellar writing is what makes my story so engrossing in the first place ~ :) Both - is my hope! I would love for my readers to get lost in the story! But yes, if your writing is awesome, they won't even notice it! I have on occasion, found a book that had great writing, but the story was flat. I'd much rather have an engrossing story where the writing wasn't perfect prose all the time. Yes, I'd answer both, too! But the books I love are the books with the best stories, the ones that keep me turning the page. It's definitely a huge compliment for a reader to feel your book is unputdownable. That's what we all aspire to. I like a little bit of both. Writing can be so hard, but worth the effort. I often can't get into the story unless the writing is at least marginally interesting ... but in the long run, I do think the story is the more important of the two. If Sydney Carton had not [SPOILER ALERT] given himself up at the end, all the beautiful prose from A Tale of Two Cities would not have stuck with us as well through the centuries.